In today’s competitive internet market, everybody is looking for a way to stand out. Content marketing, SEO, compelling lead magnets, testimonials, etc (more free traffic strategies can be found here). 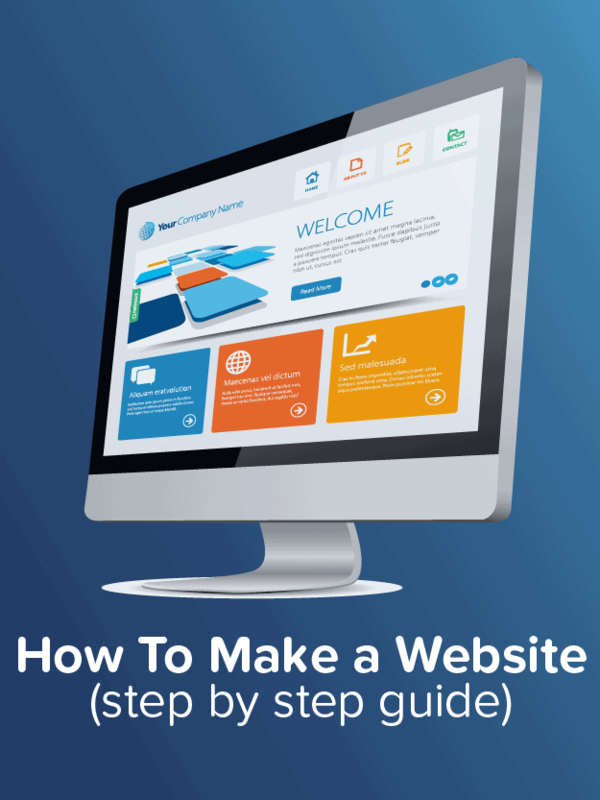 There are plenty of big strategies that can set a website apart from the crowd. Sometimes, the little things can make all the difference. Especially because so many websites and businesses ignore the little things. As you’ll see, one of those “little things” is a favicon. Done right, it can help your website stand out, become more credible, build brand awareness, and a lot more. To help you find the favicon generator for your needs, I’m going to share with you the list I’ve composed. Logaster offers a really fast and easy way for creating logos. The company has created a total of 5,000,000 different logos. Just select “Create Logo”, write your company’s name and choose the right activity type. You will be offered lots of ready templates for your logo that you can also customize. Once all set and ready, you can create a favicon based on the logo you just created. Favicon.cc is both a favicon creator and generator. Use it to design your favicon from scratch, or import an image to design your favicon from an existing logo. This tool even allows you to create animated favicons. Additional options available include a list of the latest and top-rated favicons to help you draw inspiration from. Download your design in .ico format to display your icon in the address bar of every web browser. Genfavicon is a free online tool that allows you to convert any image into a functional favicon for your website. Use the tool to crop and resize your image and then save it in .ico format. The site produces a preview of your favicon before you download it to take the guesswork out of cropping and resizing. Favicon-generator is built to help you generate icons for the Web as well as Android, Microsoft, and iOS apps. Choose an image from your computer in PNG, JPG, or GIF format to convert it to a .ico file. If you don’t have an image in hand, browse through Favicon-generator’s icon library. Search by letters, number, or colours. Then, download your favourites or make edits to them. When completed, download your file and save the favicon to the root directory of your site. Real Favicon Generator is a powerful tool that allows you to create favicons for every platform. It comes with the extra perk of allowing you to test your current favicon. Enter your site’s URL and get feedback on your current favicon. Real Favicon Generator breaks down this feedback by platform, letting you know how your favicon will look on each browser or operating system and tells you what’s missing so you can easily fix it. Download your new file and follow the instructions on the site to easily add your icon to your website. Favic-o-Matic features two different favicon generator options. Upload your image and then convert it to a .ico file. Otherwise, generate an icon for all the platforms, including iOS and Android apps. Advanced settings allow you to choose the size of your favicon, the background colours, and more. Xiconeditor is a fantastic tool to use if you need an easy, free tool for designing your favicon from scratch. A type tool, brush tool, pencil tool, eraser, and more tools allow you to create a one-of-a-kind favicon for free. If you don’t want to start from scratch, import your icon and crop it straight from the tool. You’ll be able to preview your design before exporting it so you will know exactly how it looks like for your users. Favikon is one of the simpler tools when it comes to favicon generators. Simply upload your image, crop it, and download it as a .ico file. Favikon also offers export in .png format if you prefer. There aren’t editing options outside of cropping. If all you need is converting your image to a .ico file, this tool is free and easy for just that. This free favicon generator takes any PNG, GIF, or JPG image from your computer and converts it into a .ico file. Choose your image size before converting, including sizes ranging from 16x16px to 128x128px. Then, simply follow the instructions on the website for uploading to the root directory of your site. 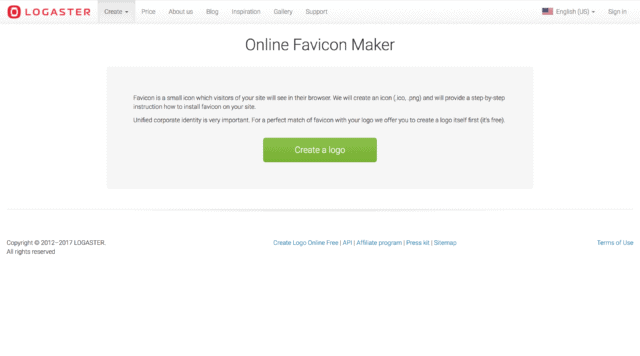 Another simple and free favicon generator tool can be found at Favico.com. This favicon generator accepts PNG, JPG, and GIF images and converts them into the preferred .ico format. Choose an image from your computer, select a size between 16x16px or 32x32px, then click “Create” to generate a favicon. Follow the instructions on the site for installing the file on your website. Faviconit boasts with its ability to create favicons, apple touch icons, and HTML headers for all devices and browsers. This free tool allows you to upload an image and convert it as needed. Advanced features make it easy to name your favicon and favicon folder. Webestools.com features an online favicon generator that allows you to upload an image and edit it straight from the site. You can also start from scratch and create an image with the site’s colour tools. Choose between a 16x16px or a 32x32px favicon, then preview the results before downloading. Antifavicon.com is a bit different from the other items on the list. Instead of generating a favicon through an image, it does so through text. Use the text box to type what letters or numbers you want in your favicon, then use the colour selection tools to choose the text and background colours. Although the editing options are somewhat limited, this free favicon tool is a good choice for individuals who need a fast, simple design and don’t have the skills, tools, or budget for it. Faviconr.com is a simple online tool that generates your favicon from an image on your computer similar to many other tools on this list. It accepts JPG, PNG, and GIF formats. Upload a transparent PNG or GIF file to create a transparent favicon. There aren’t any editing tools available with Faviconr. Simply upload your image, generate a favicon, and download your new file. It’s a great tool if your icon is ready and all you need to do is convert the file type. With these 15 favicon generators handy, you should have your website icon up and connected to your URL in no time. Any favicon generators I left out? Leave a comment below. You have your beautiful favicon ready to go- now it’s time to install it. This is a fairly straightforward process as well. Step 1: Upload the “favicon.ico” file to your web hosting server. Enter your username and password to get access to the server. From there, upload your favicon files to the root folder. The root folder will usually be called “public_html” or “www”. Keep your FTP window open and download the “index.html” or “header.php” file. These codes help browsers find your favicon image. Your favicon should now be installed! Hey Robert, this is a great list! I created favicon.io which is a favicon generator of sorts. It’s different from the other generators because it doesn’t rely on the user already having an image or logo handy. It allows you to quickly create a customized favicon by selecting some text and some colors. If that’s too complicated then it also has pre-made favicon options that are generated from a list of 800+ emojis. Nice resource! To WordPress, no shortage of plugins to do the job of adding a favicon.